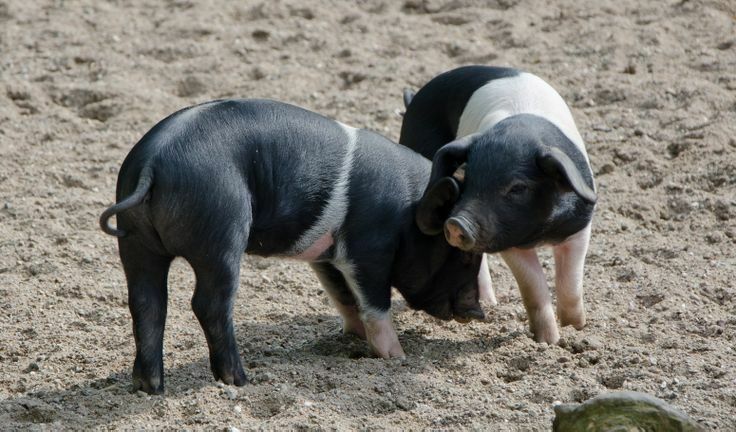 The Angeln Saddleback is a breed of very rare domestic pigs that originated in Germany. 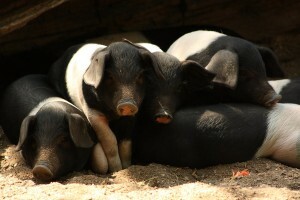 These large size swines were once much popular for their meat, until the demand fell. 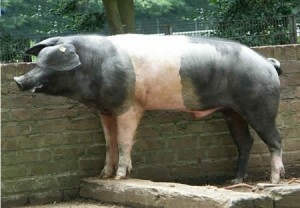 At present, they are farmed in a very limited area in Germany, especially in the Angeln region, from which it got its name. 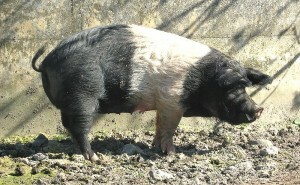 The Angeln Saddleback pig was developed by crossing the Wessex Saddleback pig with the black and white Landrace pig in Angeln, Germany. 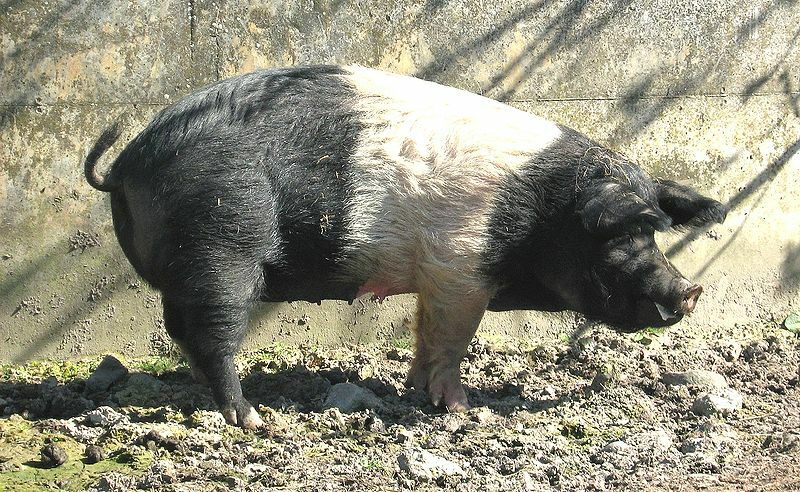 In 1937, this breed was recognized as a new breed, while by the 1950’s, the animal took to a significant share in the meat market. 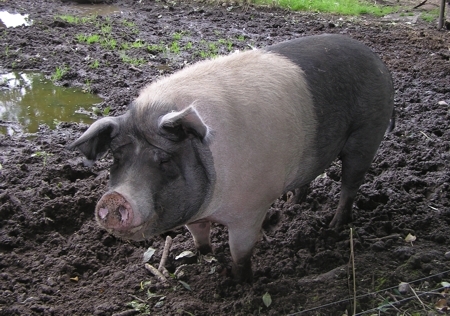 In modern times, the production of these animals has significantly diminished after market sentiment turned away from it finding it to be too fat for the consumer, thus making the breed nearly extinct. 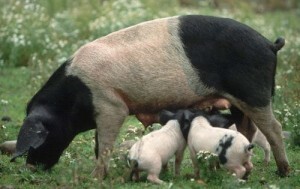 An individual Angeln Saddleback can drink up to 14 gallons of water in a single day.